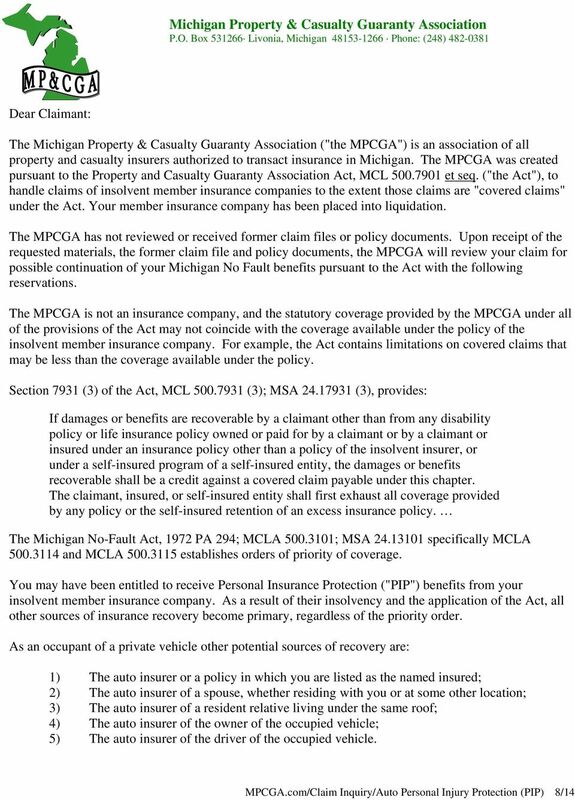 Download "Michigan Property & Casualty Guaranty Association P.O. Box 531266 Livonia, Michigan 48153-1266 Phone: (248) 482-0381"
5 IV. Attendant Care / Replacement Services A) Are you receiving attendant care or replacement services yes no If yes, identify the prescribing physician name, address and phone number B) Specifically itemize each service being preformed, the amount of time involved, the date and the person providing each task C) Have each person performing attendant care or replacement services complete a W9 Form V. General Information A) State your address at the time of the accident B) State the accident location and what police department was called to the scene (if available attach a copy of the police report) C) Provide a brief description of the accident D) List your former claim number E) List your insolvent member insurance company policy number and attach a copy of the declaration page if available. 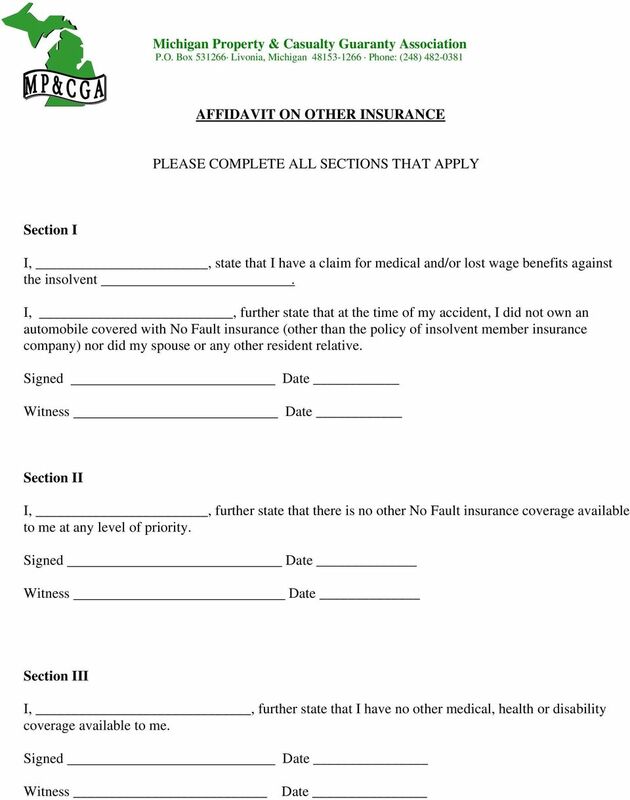 9 Information Concerning Affidavit of Medicare Eligibility Form Under the Medicare Mandatory Insurer Reporting Law (Section 111 of Public Law ), which is implemented by the Center for Medicare and Medicaid Services (CMS), certain mandatory reporting requirements may apply to your claim. 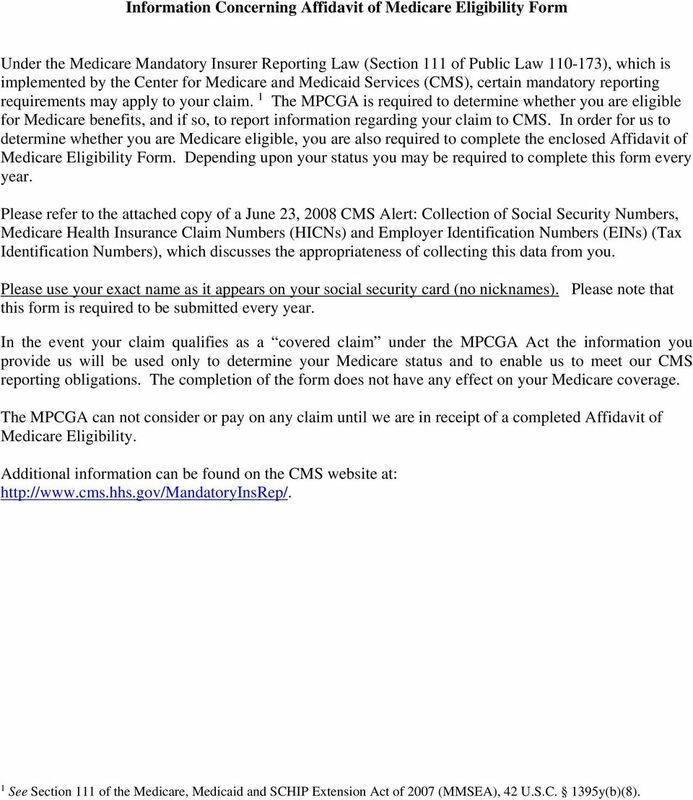 1 The MPCGA is required to determine whether you are eligible for Medicare benefits, and if so, to report information regarding your claim to CMS. 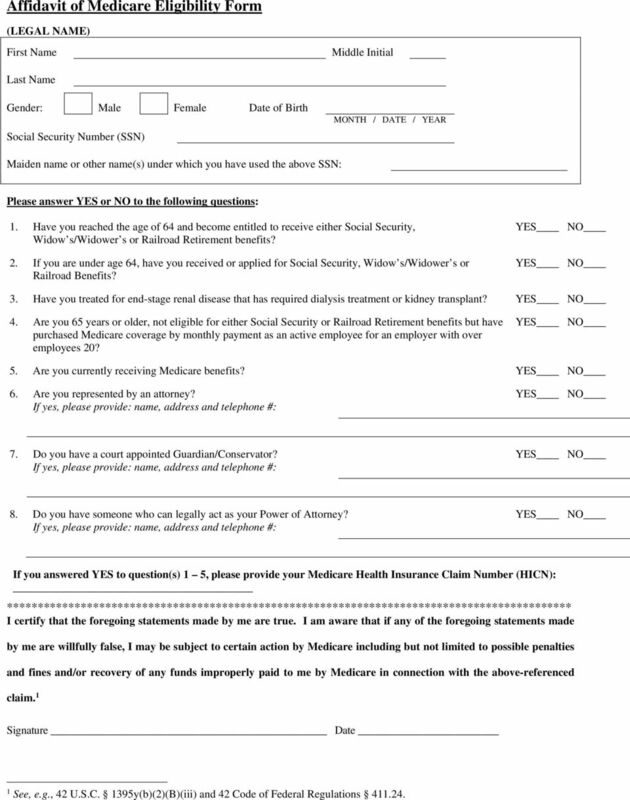 In order for us to determine whether you are Medicare eligible, you are also required to complete the enclosed Affidavit of Medicare Eligibility Form. 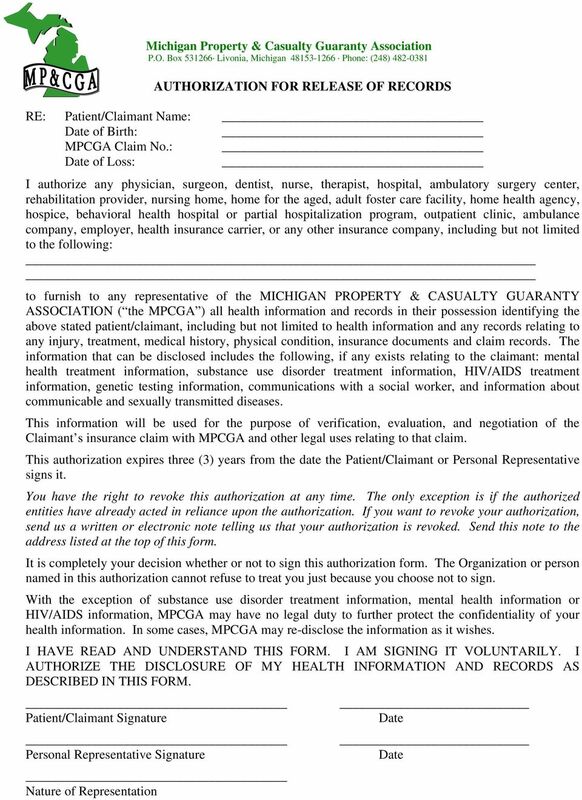 Depending upon your status you may be required to complete this form every year. 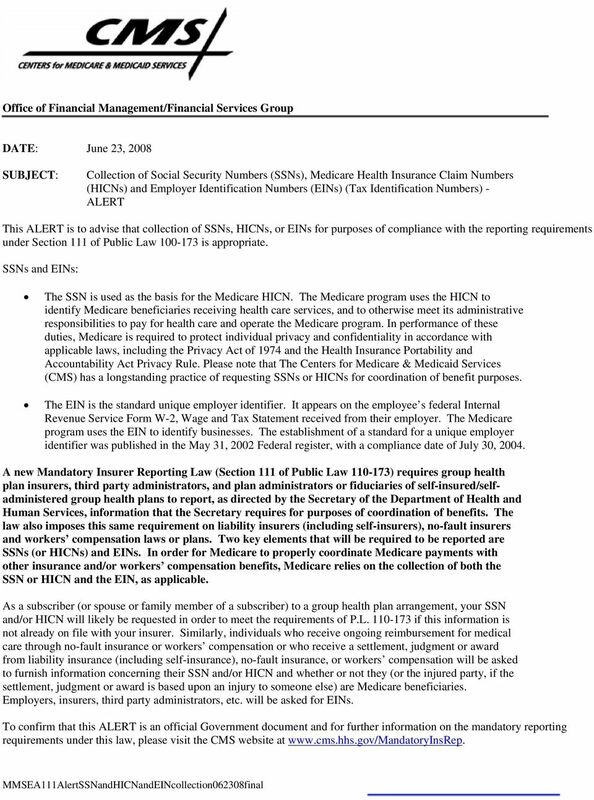 Please refer to the attached copy of a June 23, 2008 CMS Alert: Collection of Social Security Numbers, Medicare Health Insurance Claim Numbers (HICNs) and Employer Identification Numbers (EINs) (Tax Identification Numbers), which discusses the appropriateness of collecting this data from you. Please use your exact name as it appears on your social security card (no nicknames). Please note that this form is required to be submitted every year. 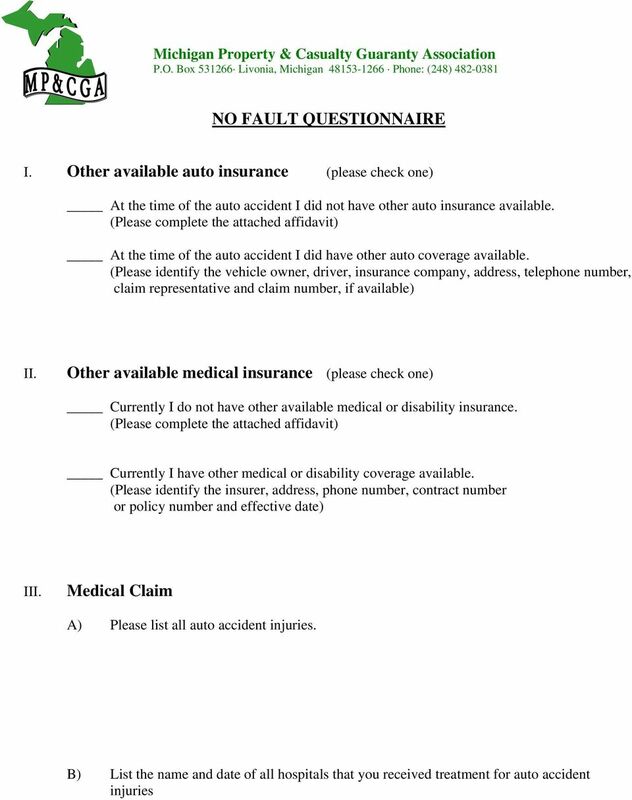 In the event your claim qualifies as a covered claim under the MPCGA Act the information you provide us will be used only to determine your Medicare status and to enable us to meet our CMS reporting obligations. 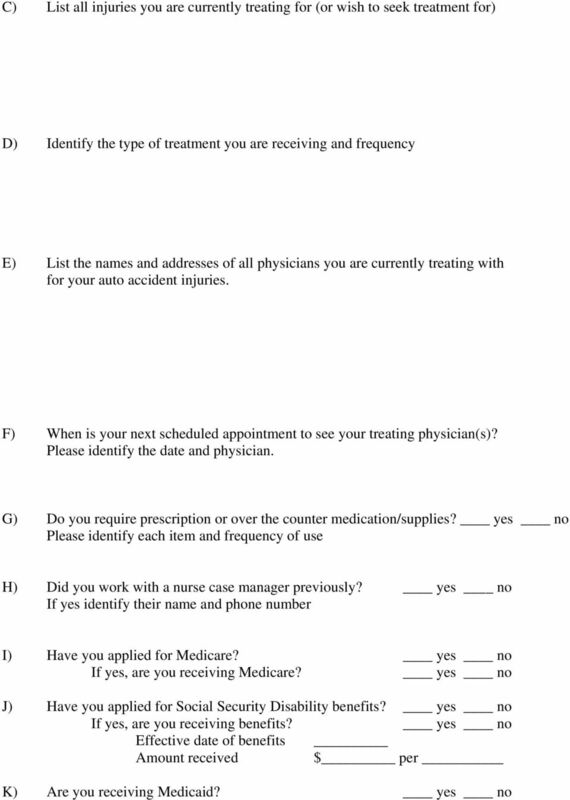 The completion of the form does not have any effect on your Medicare coverage. 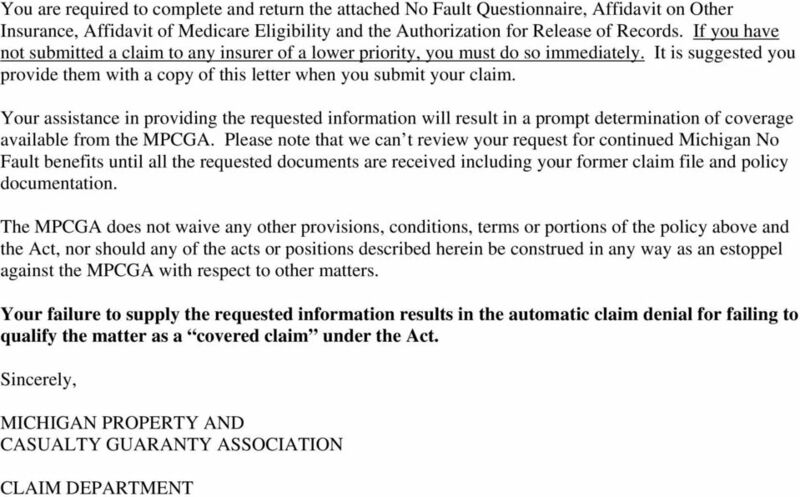 The MPCGA can not consider or pay on any claim until we are in receipt of a completed Affidavit of Medicare Eligibility. Additional information can be found on the CMS website at: 1 See Section 111 of the Medicare, Medicaid and SCHIP Extension Act of 2007 (MMSEA), 42 U.S.C. 1395y(b)(8). Reference #: Date. Received: police report, Last Name. Middle Name. 2. Date of Birth: 4. Social Security. Zip Code. Apt # City. State. State. 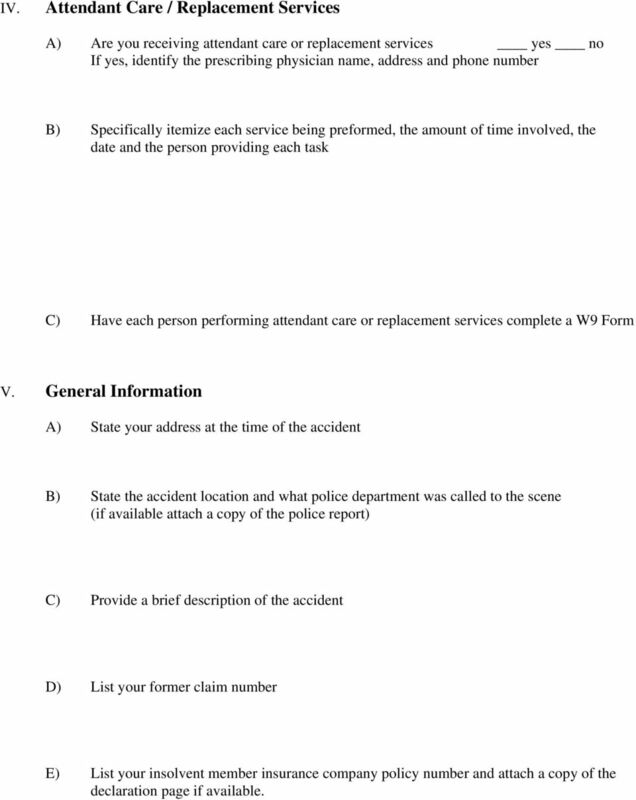 Application for Benefits: Personal Injury Protection To complete this form by hand: 1 Print all pages of the form. 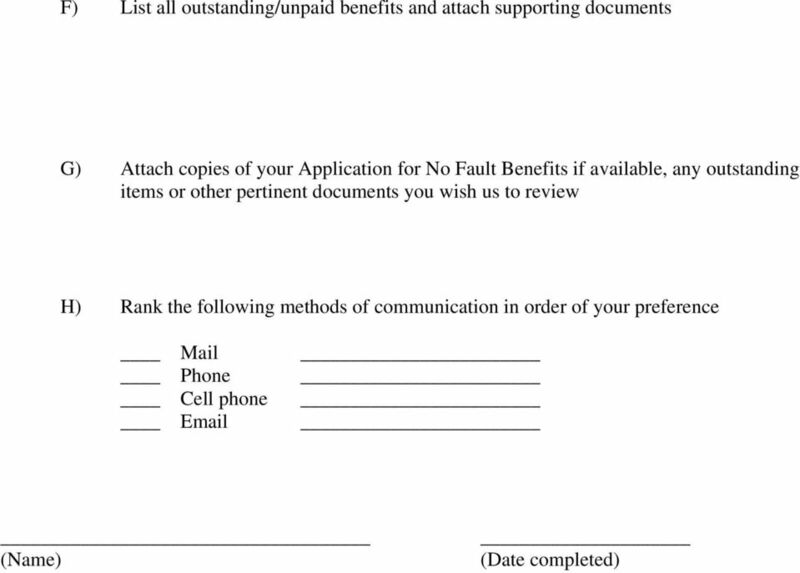 2 Complete the form by filling in each space with black or blue ink. Do not use pencil. DURABLE POWER OF ATTORNEY FOR FINANCES NOTICE 1. This is an important legal document. By signing it, you are voluntarily giving another individual broad powers to handle your property and finances. 2.